Hello again everyone- guess what? ..... It's FRIDAY! As usual I'm linking up with Darci, April, Natasha & Christina. Even though we have had snow delays and shorter days this week, it has still felt a little long so bring on the weekend! Superbowl is a big deal around these parts and this year is no exception. 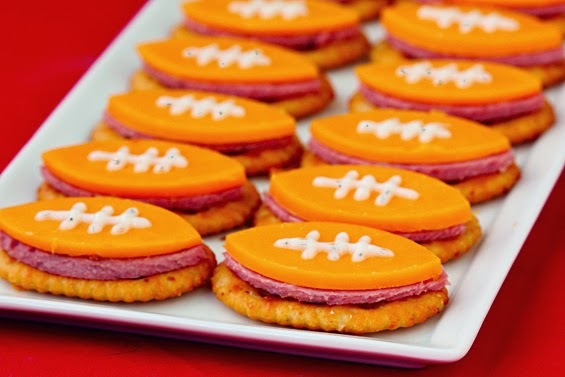 (I'm still holding out for my Skins to go one year...before I'm old & grey...no haters haha) We'll be cheering on Manning & the Broncos this year and here are a few recipes to jump start your Superbowl party! Happy Weekend & Happy Eating lots of (unhealthy) Yummy Food! 1. Cheese & Crackers -no recipe needed, super simple but super festive! 4. Dark Rye Pigskin Grilled Cheese - so cute with shot glasses of tomato soup! My favorite thing about the Super Bowl is the food haha! 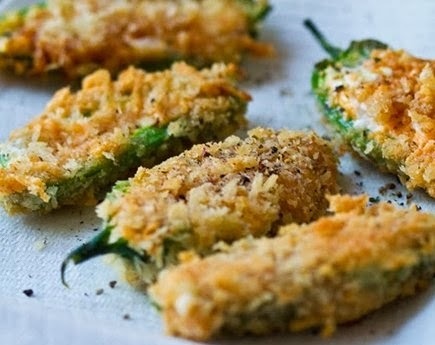 Now I'm thinking I need to add jalapeno poppers to my menu... have a great weekend and go Broncos! I love the pizza pockets!! I'm not really as invested in the game as I am with the food and commercials haha! Happy weekend! 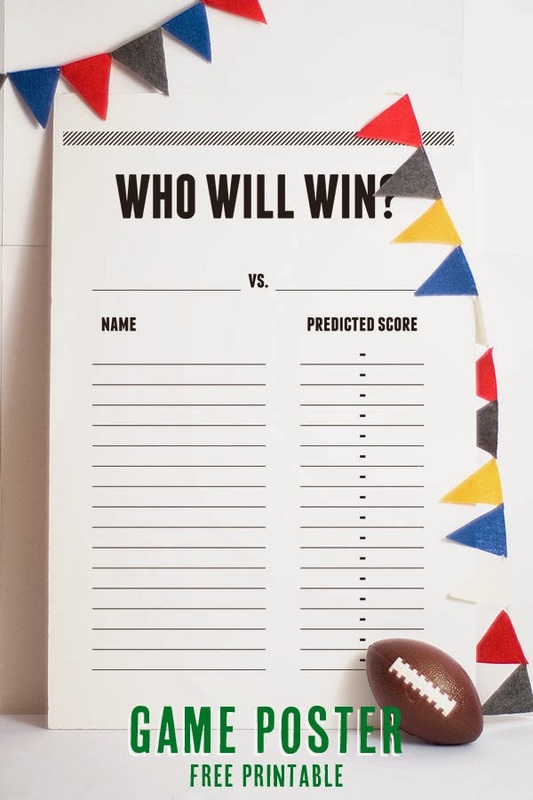 Love the printable!!! Can't wait until next year...for our first super bowl party in our new house!! :) Have a great weekend!! You would do a post like this. And so well with it it. I swear, I have been in first-birthday-crafting-hell (did a post on it on Thursday if you haven't had a chance to check it out) and I have thought a lot about you and Elise and how crazy ya'll are because ya'll would actually enjoy it. Wish I could just pay you to do the Precious' whole party. God gave you ladies a talent and a passion for sure! :) Have a good weekend! 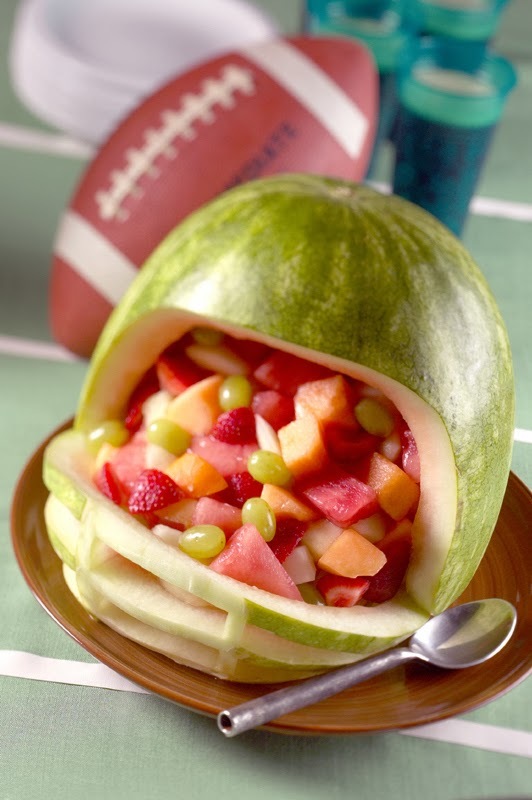 I love a creative watermelon carving, but have never seen one shaped like a football helmet before! 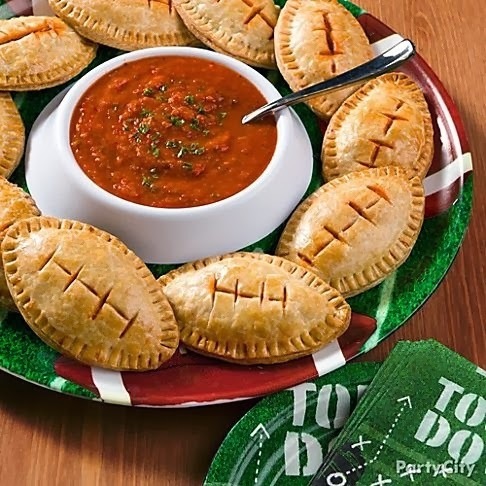 So cute for a Super Bowl party! The snacks you posted look so tasty!! I love anything with jalapeno's, so those definitely stand out to me as a winner. Speaking of winners... ;) I'll also be cheering on Mr. Manning and the Bronocs! Ohh the food! I can't wait to pig out this weekend! Eek I love those pizza pockets!! GOOO BRONCOS!! Happy a fabulous weekend! Hi Jessi, I found you on the link up. Those jalapenos look delish! SUCH cute ideas!! I'm excited to try some of them! 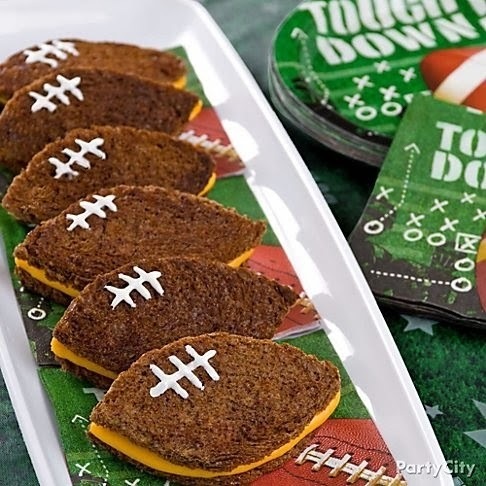 omg, the football grilled cheese - how awesome! I love any excuse for grilled cheese. I'm coming to your house for the big game, ha!!! Love the super bowl food ideas, thanks! All of those foodies look delicious! If your making all of that good stuff, I totally want to come eat some! Haha! Have a good weekend! We skipped the superbowl party this year because Andy's been sick, but I wish we'd at least gotten some superbowl snacks! That watermelon thing is pretty intense.